This support hero is lookin’ good. Everyone’s favorite upbeat DJ is the latest Overwatch hero confirmed to be getting a new legendary skin in next week’s cosmetic update. The new skin, called “Capoeira,” sees Lúcio in some cool-looking Brazilian garb that fits the name well. Capoeira is a Brazlian martial art that combines elements from dance, acrobatics, and music, originally developed in the 16th century. 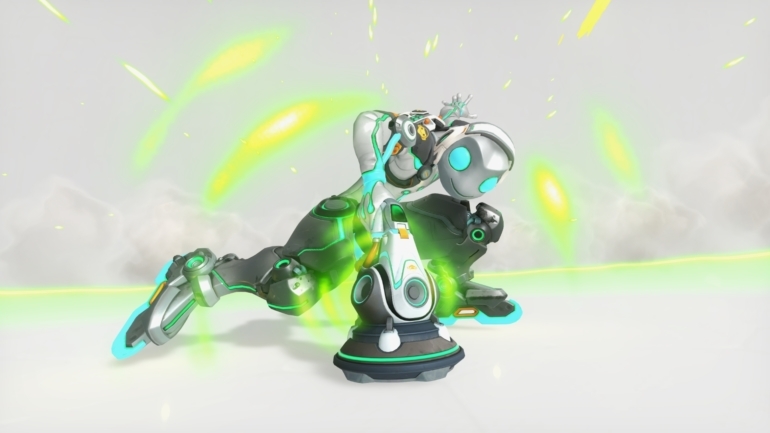 Capoeira is Lúcio’s first new skin since the Jazzy skin that was released last May in the Overwatch Anniversary event. Considering the look and the feel of the skin, it matches his personality pretty well. This new skin is the second confirmed new legendary, on top of Pharah’s Asp skin. A number of Blizzard-themed skins were also confirmed at BlizzCon, and they’ll all be joining the general loot box pool as part of next week’s cosmetic update. A new map, Blizzard World, and new emotes and sprays will also be a part of the update, so there’s plenty of new content coming next week for Overwatch fans to be excited for.